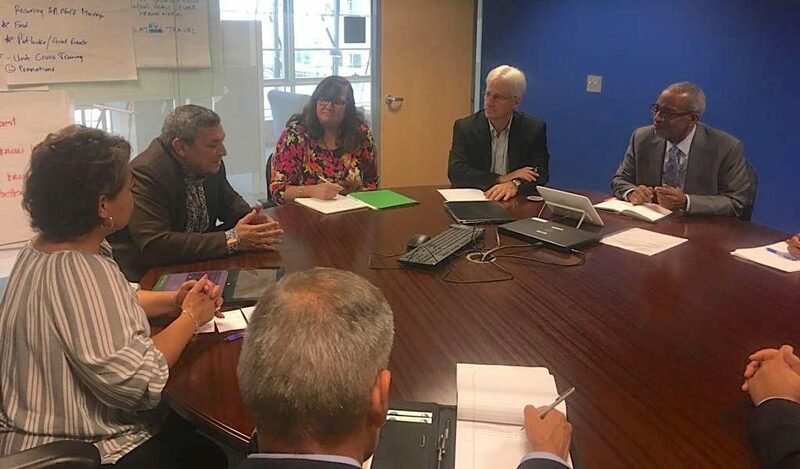 Hagåtña — Governor Eddie Calvo met with U.S. Department of Labor Region VI leadership to discuss opportunities and challenges with Guam’s labor market. “Job opportunities and a growing labor need is a great position to be in — Guam is poised to see a marked increase in economic growth and prosperity,” Governor Calvo stated. Governor Calvo and Guam DOL Director Sam Mabini relayed to federal officials in San Francisco that greater support from the federal level can help bolster apprenticeship and other programs that focus on providing opportunities to Guamanians — building a greater pool of local skilled laborers and reducing the need for foreign labor help.